GoPro Hero6 Black: Should You Upgrade to the New Action Camera ? Should You Upgrade To The New GoPro Hero6 Black? The ‘to buy or not to buy’ dilemma has a new subject – the brand new GoPro Hero6 Black (shop it here). Making it a tough decision is its $500 price point, and the fact that its $400 predecessor, the GoPro Hero5 Black (shop it here), is still a rather popular action camera. I myself have been a big fan of the Hero5, which is what sparked my curiosity about the new Hero6. I decided to pit them against each other in an action-packed comparison, and have brought you the results in this post. Both cameras look almost exactly the same. 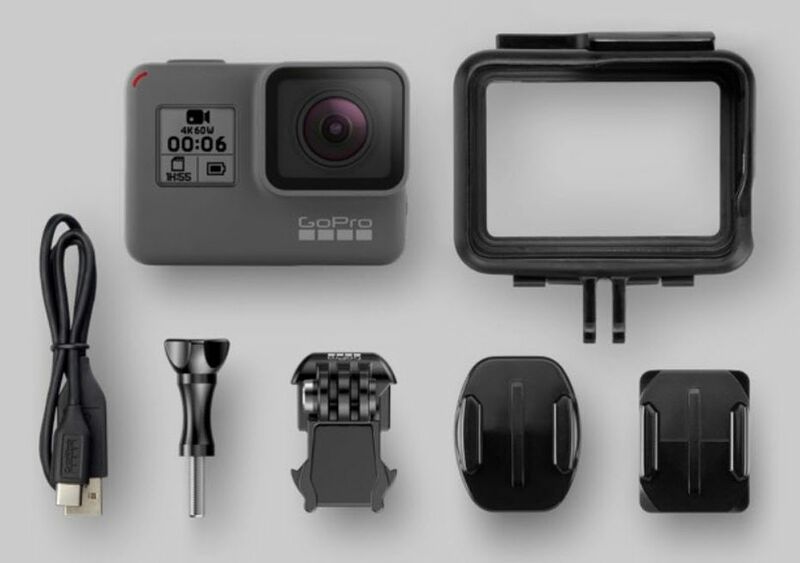 Which means that whether you’re buying the GoPro Hero5 Black or the Hero6 Black, you’ll get a compact matchbox-sized device with a tactile matte black finish and a single rubberized red button on the right side of its upper face. Like the former Hero5, the Hero6 Black has a touchscreen at the back, a smaller display screen by the lens on the front, and the same arrangement of ports (Micro HDMI and USB-C) and a microSD card slot. 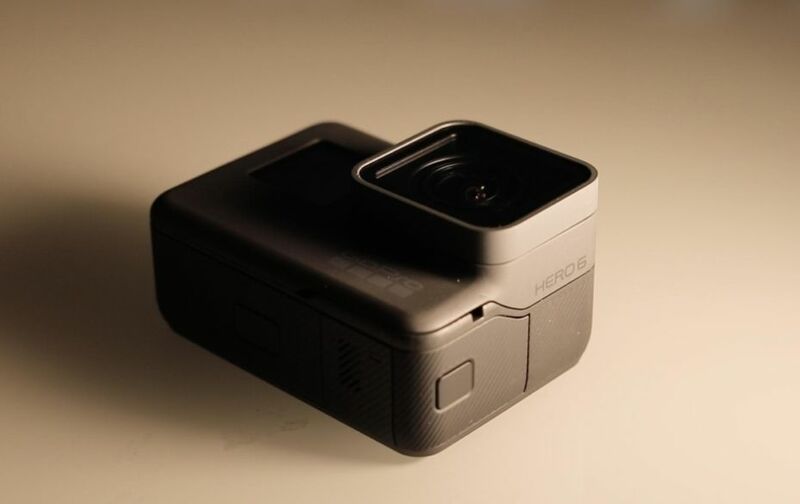 It also has the Hero5’s waterproof casing, which offers resistance at depths up to 33ft (10m). For recording while diving or deeper distance you need a water resistant watercase (shop it here) Both cameras even have identical batteries – but there’s a caveat which I’ll come to a bit later in this comparison. So here’s the first big upgrade that you get with the Hero6. This new action cam is the first in the GoPro line-up to be powered by the GP1 processor. GoPro claims that this processor makes the Hero6 twice as fast as the Hero5. But what does that even mean? Well, because of its higher processing abilities, the Hero6 is better equipped to capture the nuances of fast-paced action, without losing or blurring out details. 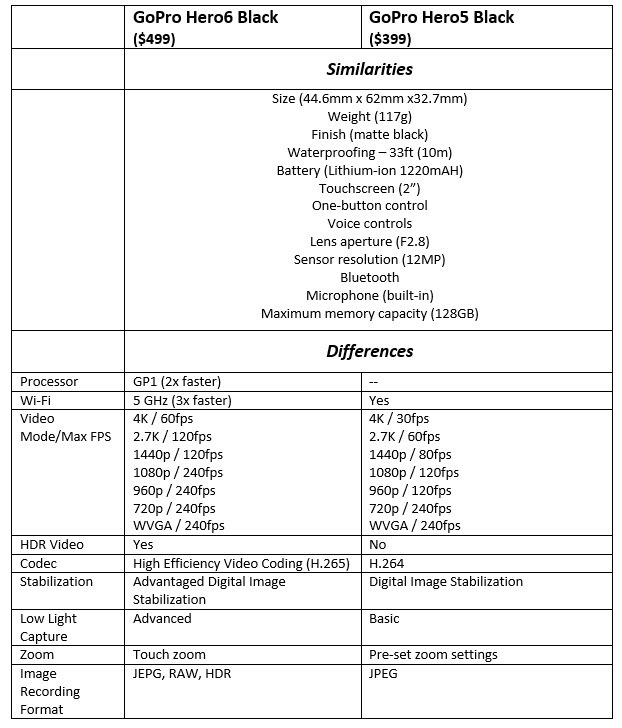 So you can use it to shoot 4k footage at 60fps, and Full HD (1080p) video at 240fps. Later, you can turn these into smooth slow motion videos, with 1080p video rendering beautifully even at 1/10th of the recording speed. That kind of data transfer from recording camera to the micro SD Card needs a special performance. Be sure to use only U3 micro SD Cards (shop it here).The Hero5 Black’s processing capabilities pale in comparison (4k video at 30fps; 1080p video at 120fps). The GP1 processor in the GoPro Hero6 has a few additional advantages, better video stabilization for instance. The new camera records smoother videos than the Hero5 Black did, but I have to add that neither of the two can yet achieve the level of stabilization that some modern smartphone cameras offer. That’s a minor trade-off in my opinion, though, especially considering that you can pair both GoPro cams with a Karma Grip (shop it here) if you’re looking for ultra-stable footage. Like the Hero5, the GoPro Hero6 has a 12 megapixel camera. But the newer model is able to deliver a much better image quality. It offers a more accurate colour profile, as well as a higher dynamic range. Additionally, the Hero6 Black is way better suited to low light photography than the Hero5 Black. Though its footage won’t be totally free from graininess, this is by far the best low-light camera that GoPro has come up with to date. Oh, and if still images are more your thing than video, you’ll be happy to learn that the Hero6 can click JPEG, RAW, and HDR images. The Hero5 Black, in contrast, is limited to JEPG alone. While the Hero6 Black is essentially a Hero5 with a more sophisticated processor, it does offer a few other upgrades that make it more user-friendly than its predecessor. Both cameras have the same convenient one-button control, which you just need to click once to power on your camera and put it to work. Both have voice controls as well. What I additionally like about the Hero6 is its ‘touch zoom’ feature. This is the first ever GoPro camera that lets you slide your finger up or down on the touchscreen to zoom in or out. All that the Hero5 Black would offer in this department were three pre-set zoom levels that you could select by tapping the screen. So I’ll go so far as to say that the Hero6 Black is the first GoPro camera to offer zooming capabilities! Let’s face it – being able to share your skiing, surfing and skydiving videos with your social circle is a big part of action videography. So a camera that simplifies or speeds up this process automatically scores more points. No points for guessing the winner in this contest of GoPro cameras, though! The Hero6 comes with 5GHz Wi-Fi, offering three times the Hero5’s offloading speed. So your videos transfer to your phone way quicker, and you can get back to shooting in no time. Additionally, the better processor and the faster Wi-Fi in the Hero6, work together to optimize the GoPro QuikStories functionality, which automatically turns your footage into finished, ‘shareable’ videos. Remember the caveat I mentioned early on in this post, regarding the battery life of these two cameras? So essentially, both the Hero6 Black and the Hero5 Black have the same 1220 mAH battery. But due to its high performance GP1 processor, the Hero6 draws more power than the Hero5, leading to a shorter battery life. This is probably the only noticeable downside to the Hero6, but it isn’t something a pair of $20 replacement batteries can’t fix (get it here). To summarize, the GoPro Hero6 Black comes across as a more refined, optimized, and professional variant of the Hero5 Black. It retains all the features and functionalities that made the Hero5 a great action camera, and complements them with better performance, resolution, image quality, and ease of use. These upgrades are well worth the $100 price difference, especially if you’re into professional action cinematography. Additionally, all Hero5 accessories are compatible with the Hero6, so you won’t need a complete gear overhaul just to accommodate this latest GoPro camera. If you’re tied down by a $400 budget, or already own a Hero5 Black which serves you fine, you could do without the new Hero6. 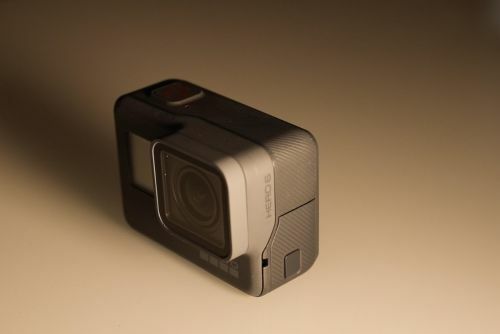 But if you’re interested in exploring the limits of a modern action camera and are yet to get your first one, the GoPro Hero6 Black is the best we’ve seen yet! I’ll sign off with a quick side-by-side comparison of the two cameras.